the live season 2007-08, the one which saw hd get back on stage after 6 years, happily ended at ferrara international buskers festival, where matteo toni hosted patti & dave for the final evening and night. we had much fun, and soon we'll post pictures of the event. as most of hazy family's energy are still dedicated to the final mixing of the bolero, dave's first studio album in italian language, the next live season begins in the best possible way. 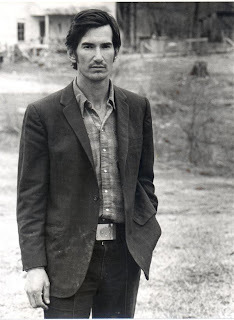 in fact dave will take part in the 4th italian tribute to the late great townes van zandt, on october 20, at the "teatro dell'oratorio" in FIGINO SERENZA (Como, Italy). the show begins at 9 pm, and entrance is free. "Colorado becomes blue... this one's for real, folks!" maybe this time the hazy tale of the event won't be as long and funny as it was last year... but in any case it will be a magical evening and night. we'll keep you updated on more hazy appearances and event, which are being prepared for fall and winter. meantime, stay warm... & keep rockin'!